The Autostrada A1 and Siena-Perugia motorways ensure that travel times are shorter compared to other parts of Tuscany. Florence is easily accessible by train for a day trip, which prevents parking and driving in the city. You could even consider visiting Rome by high-velocity train from Arezzo, a trip of 70 minutes. On the south side of the Trasimeno lake there is a water park with several pools and slides. 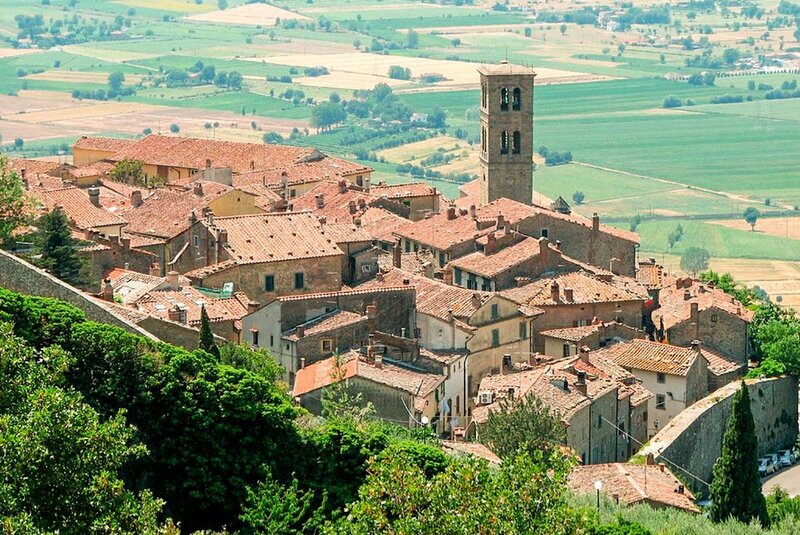 Around the 7th century A.D. the promontory proved to be a formidable defensive outpost for the Byzantine Duchy of Perugia against the neighbouring Longobard territory of Tuscany. Arezzo is known worldwide as the City of Gold and the Giostra del Saracino, it was home to the oldest university in Tuscany, and one of the first in Europe. Siena is universally known for its huge historical, artistic, scenic heritage and for its substantial stylistic unity of medieval urban furniture, as well as for the famous Palio.